Alka Seltzer is an antacid that, according to its website, "gently breaks up and dissolves away the full feeling of acid indigestion and pain fast." Containing sodium bicarbonate, aspirin and citric acid, Alka Seltzer is used to treat heartburn, headache, sour stomach, hangovers, body aches and pain. Although not marketed to treat yeast or urinary tract infections, Alka Seltzer may cure the infection in the early stages. Taking the product as soon as you notice the symptoms of an infection is the key to success. Determine that your symptoms are caused by a yeast infection and not by bacterial vaginosis or trichomoniasis, which have similar symptoms but different causes and will not respond to the Alka Seltzer treatment. Dissolve 2 Alka Seltzer tablets in 4 oz. of water. Wait until fully dissolved before drinking. Do not add any type of sweetener to the water, as yeast feeds on sugar. Repeat every 4 hours as needed, but do not exceed 8 tablets, or 4 doses, in a 24-hour period. Try an Alka Seltzer rinse after urinating. Yeast live on the skin, so a topical application may also be effective, especially for a strong infection. Use 2 tablets dissolved in 4 oz. of water as a douche. This treatment is most effective at the onset of the infection, so use Alka Seltzer as soon as you're sure that it's a yeast infection. 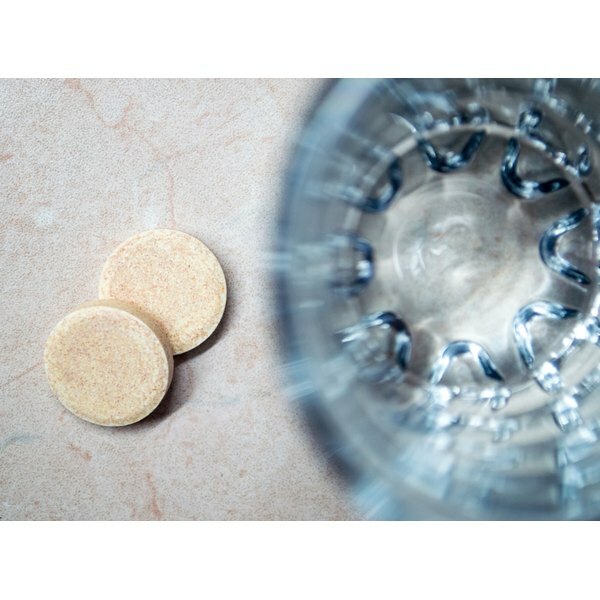 Do not use Alka Seltzer if you are allergic to aspirin or are on a sodium-restricted diet, as each tablet contains 567 mg of sodium, which adds up to more than 1,100 mg of sodium per dose. Pregnant women should not use Alka Seltzer, as it may cause complications during delivery.